The perfect way to end the year is with Unity and it's Friends with Flair! 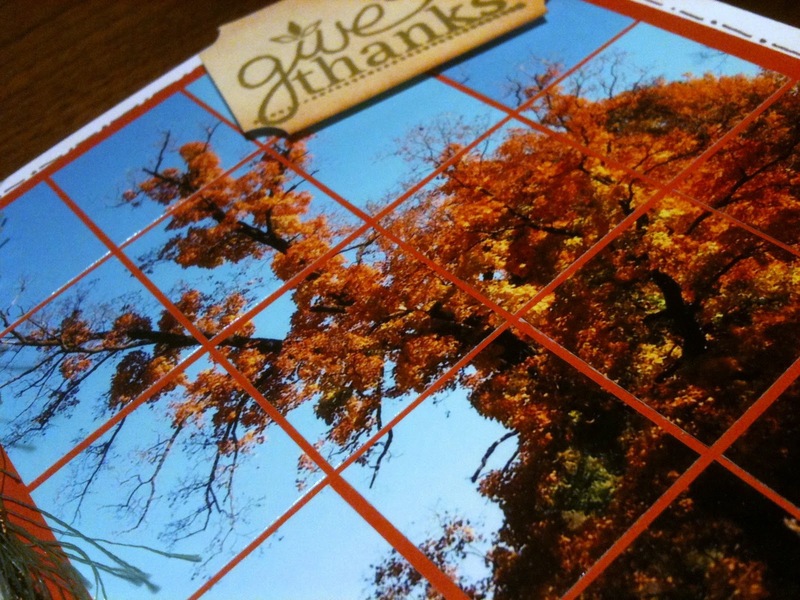 The Unity Addicts Challenge was to create a gift bag or paper. Since I wouldn't be using a holiday bag anytime soon I decided on a bag that I would use for my co-workers retirement gift. So... what did I use so you can make this card too??? I know that's what you're thinking. I walked into Hobby Lobby and saw this paper that is by GCD by with the designer being Melody Ross. 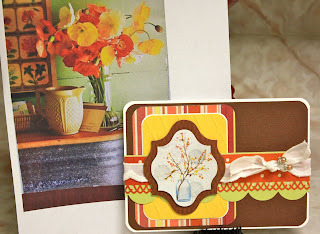 I thought to myself... Melody Ross, I have Melody Ross stamps from Unity. I was sold. I used a plain kraft bag and went from there. I hope you like it. So if you just have to get some Melody Ross stamps or some of the other great sets that Unity has to offer you can check it out at Unity. Make sure to check out all of the amazing talent and you can start at Unity! Happy New Year! I hope you have a wonderful 2011 and you send 2010 out with a bang!!! Hip Hop your Firday with Unity Friends. It's Friday and yes that means it's time for some amazing Unity inspiration!!!! Just a card I made when doing the WCMD Challenges that didn't work for anything. I haven't been feeling well so I apologize in advance for the short post. Make sure to check out all the other amazing talent on the hop and find the flair for your chance to win some unity goodness! Posted by Jennine Chambers 17 inspiring thoughts! I have been making cards for some Unity and Ippity challenges. I thought I would start to share them here. 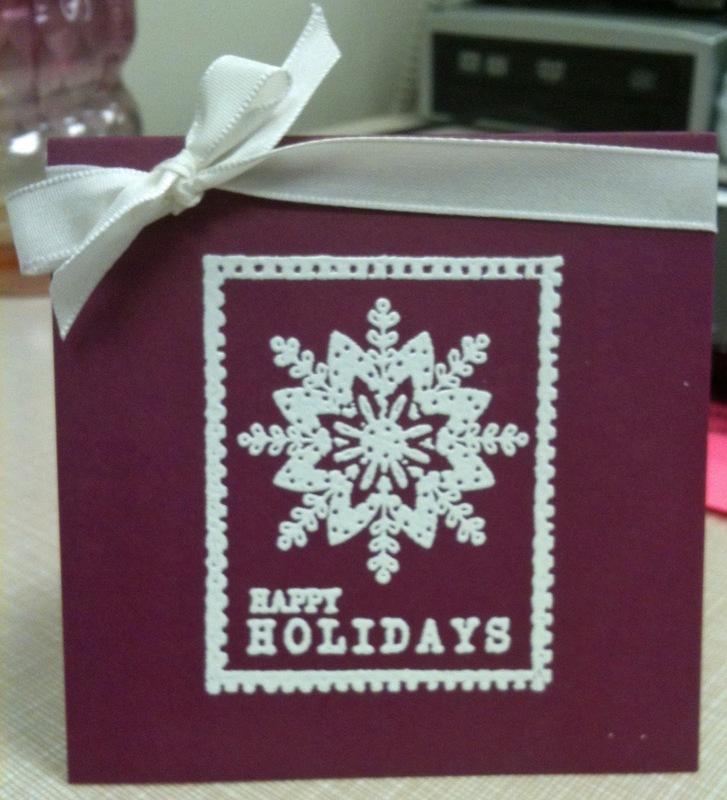 The first card challenge was to go monochromatic with a splash of color. 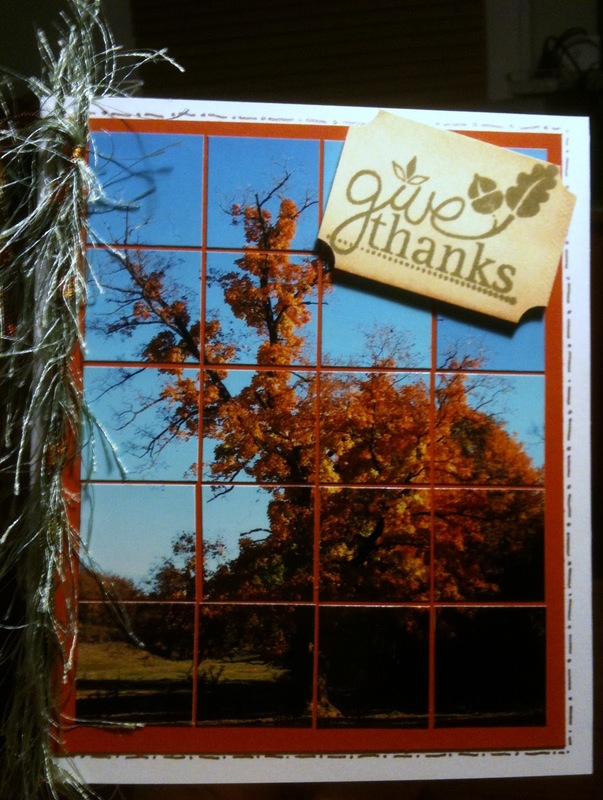 I think I would stamp the image on something different next time but overall I like the card. I used some SU kraft and dp. I distressed the piece that the canvas tag is on with some Tim Holtz ink because I wanted it to be a touch darker than the the rest. I stamped my image directly onto the canvas and used stickles on the ornaments and let it dry. I added some extra color to the H's. Lastly, I added some ribbon using raffia and there you have it. I'm thinking I may do something similar to this for my holiday cards. We shall see because not matter what I do it will have to be simple. go check out her stuff! Thank you to everyone for all of the wonderful comments! Friends with Flair on my last day of Growing in Unity!! Well ladies this will bring my week to a close. At the time I had no idea that this would be such a great week to do GIU but I must say I lucked out. 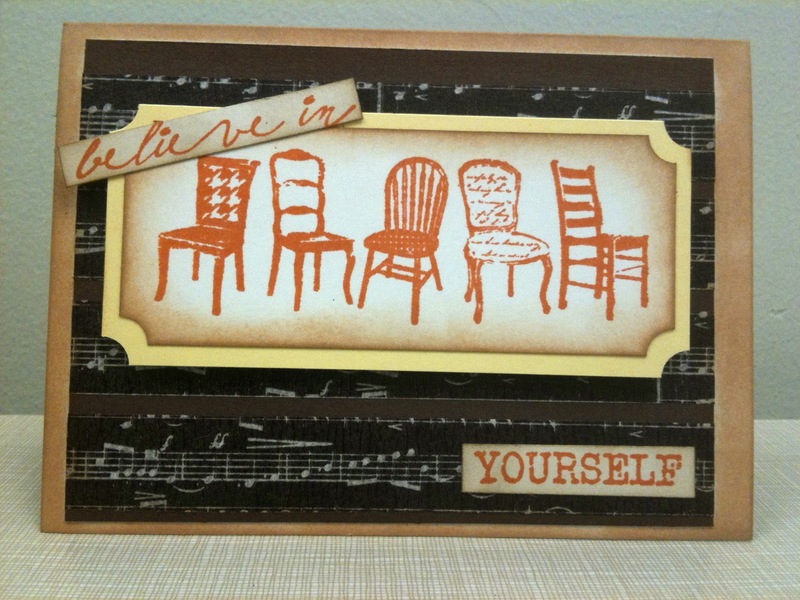 I will post a few of my final cards for the wonderful WCMD challenges. I hope you like. There you have it. I think I have posted all my challenge cards.... there were just so many! I had tons of fun with all the challenges and even more fun with hosting GIU! Posted by Jennine Chambers 18 inspiring thoughts! So I have more of my WCMD Challenge cards.... considering there are 23 challenges I figured I had plenty to share with you this week. Short but sweet! I hope you like. Please remember to vote to help babies with cystic fibrosis. Posted by Jennine Chambers 8 inspiring thoughts! Day 3 of Growing in Unity with a Unity Addicts Challenge!!! 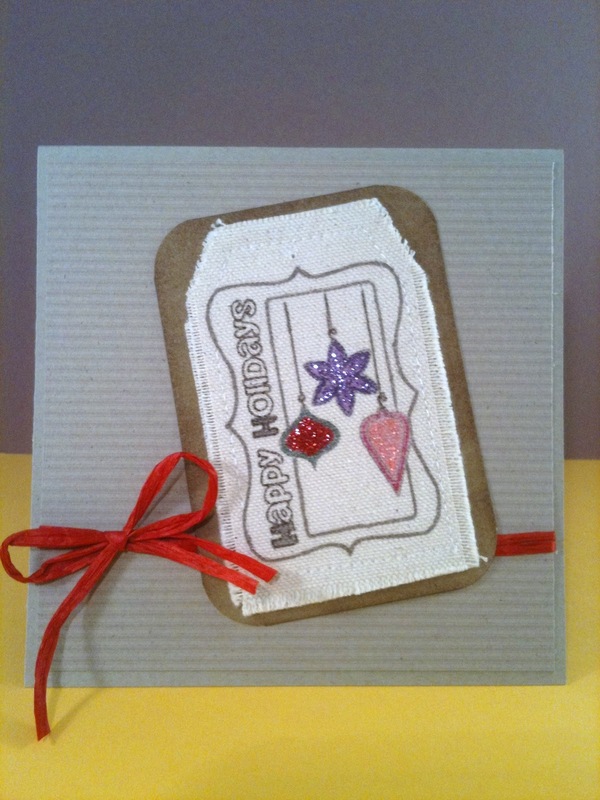 Today I am sharing with you my card for the Unity Addicts Challenge. You are to use fabric or felt. Since I used fabric on my WCMD challenge I decided to try felt. This was a first for me. I decided to spritz it with my clear smooches to give it some shine. I simply stamped my ornaments onto the felt, (didn't wait for them to dry, I don't recommend that) and then cut them out. I really gives great depth to this card. 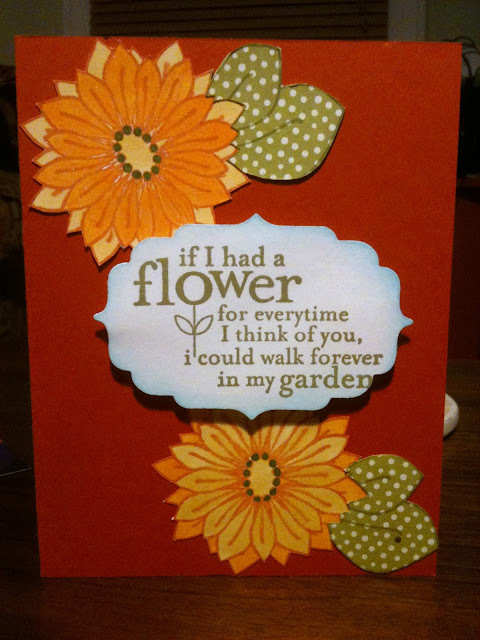 I went back and forth on whether or not to add something else but like the simplicity and calmness this card gives off. The next set of cards are some of my oldies but goodies.... hope you like! I hope you enjoyed today's showcase of cards! PLEASE don't forget to vote! Just click the link at the top of the page! Posted by Jennine Chambers 14 inspiring thoughts! It's Tuesday and day 2 of Growing in Unity! Today's cards are once again my cards for the World Card making day Challenges. I took this photo awhile back in Galena, IL. It is such a beautiful place and I am fortunate to frequent there because that is where my in-laws live. If you have seen some of my other work you will have noticed that I am into the mosaic look. This card is slightly smaller than an average A7 card but will use an A7 envelope. I am also in love with anything Donna Downey! 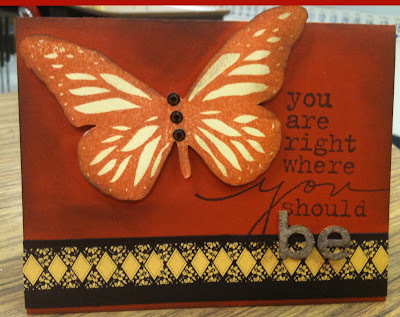 For my mini I used a stamp from the September Kit of the month. It just seemed like it fit so I went with it. Here is another card that I really like. This was for the distressing challenge. Lastly is my card for the SOAR challenge... I love this balloon from the KOTM. I combined it with the sentiment from my new Donna Downey set. There you go... a few more cards. I hope you are having a great week and PLEASE don't forget to vote for babies with Cystic Fibrosis... every vote counts. Happy Columbus Day!!! Let's celebrate with some Growing in Unity! This week is my chance to share some wonderful Unity creations! I hope you will enjoy this week full of Unity. 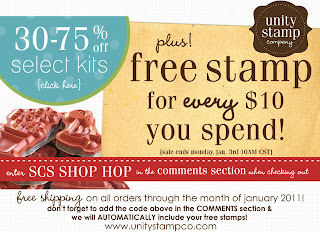 Don't forget to leave a comment each day for your chance to win some great Unity product! So for my first day of Growing in Unity I am sharing with you some of my creations from the World Card Making Day Challenges. 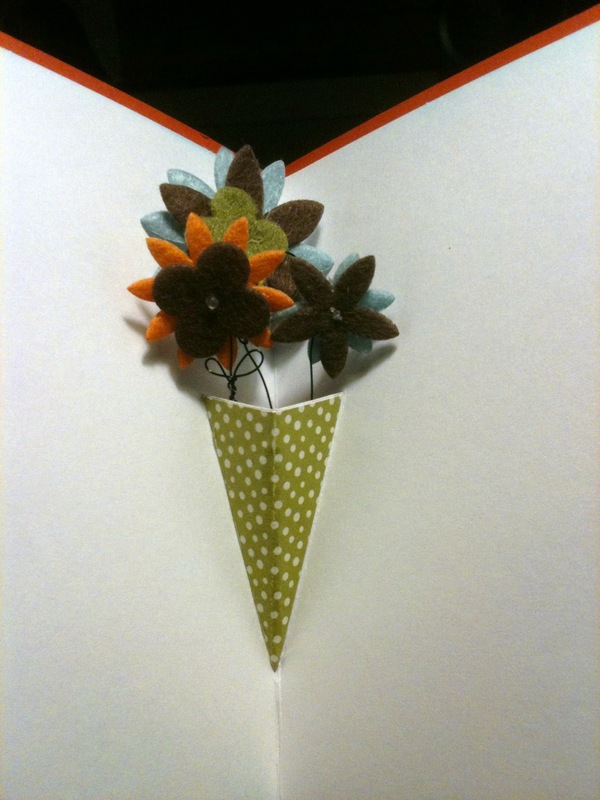 The card was created for the paper piercing challenge. 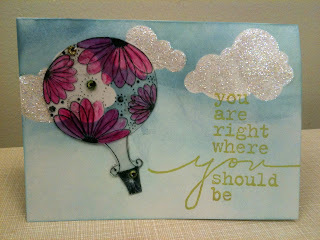 I just received my first Suzi Blue stamp and just had to use it. This is my shaker card. Not my favorite but it'll work. My next card is for the pop up challenge. I didn't want to do the usual pop up so I did a little searching on the internet. This is the idea I choose. Here is one more.... I made this one for the ribbon challenge. I love rainbows so I thought what better way to use all my glorious ribbon than in a rainbow! I hope you enjoy the cards and I have passed a bit of inspiration your way. Before you go.... would you please take a quick moment and VOTE TO HELP BABIES WITH CYSTIC FIBROSIS BREATH EASIER. Thanks so much! Posted by Jennine Chambers 10 inspiring thoughts! First I just want to say THANK YOU so much for taking the time to vote. We didn't win but we have another chance this month. 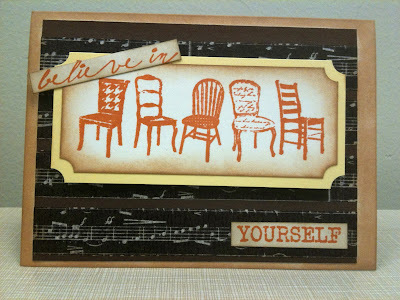 The winner with 6 votes was Scrapcollectr!!!! Please contact me with you mailing address and I will get your goodies out right away! Thanks again and please remember to continue to vote. FWF - Journal This... with a prize twist! I bought this journal kit three years ago. I had paper and everything. I was going to make it for my husband as a wedding gift.... I never did. A couple of weeks ago, in my continual effort to use items that I already have in the house I decided to finally make the journal. It wasn't for my husband this time but for ME. As my father has always told me... "Life is filled with hills and valleys and we must make it through the valleys in order to enjoy the hills. The time right now in my life, this journal helps me remember that there are good times ahead and that I can use my journal to help me get through the harder times. I hope you like my journal. I am very proud of it. I hope you have a wonderful Friday and a great weekend . If you can take the time to vote for the Pepsi challenge..
CLICK THE LINK ON THE SIDE OF MY BLOG OR JUST CLICK HERE!!! I have a little cousin who has cystic fibrosis. He is very fortunate to have wonderful parents but will live with this disease for the rest of his life. The opportunity that Pepsi is offering will make an enormous impact in SOOOOO many lives. The top 2 will win and we are in 3rd place. I have decided to give away a prize of goodies to the one person who votes the most between now and the end of the month. If there is a tie than I will pick a name from a hat. All you have to do is vote daily, and come back here and let me know that you voted. I will add more with every 25 votes that we get. I have a huge stash of goodies just waiting for a good home. Jennine and my wonderful family! Posted by Jennine Chambers 24 inspiring thoughts!